Hazel was born in South Africa, and it seems being a Veterinarian is in her blood, with both her father and brother also being Vet Surgeons. From a young age, she was able to go on large animal calls with her father, including his trips to dart large game in the wilds of South Africa! Hazel helped in his large and small animal practice right up until she began studying Veterinary Medicine at the University of Pretoria. In her early years after qualification, she worked with sheep, pigs and cattle, and even had the opportunity to examine a male lion! Due to the violence in South Africa, Hazel decided to work around the world, practicing in Wales and parts of England before journeying to Australia. She first worked in Karratha, Western Australia before settling in Adelaide. In her time, Hazel has seen more of the world then many people, travelling extensively through the United States, Africa, Europe, Egypt and parts of the Middle East. She has also travelled to Nepal and hiked to base camp Everest, and climbed to the peak of Kilimanjaro in Tanzania! She is a keen fitness fan, spending much of her down time at the gym. 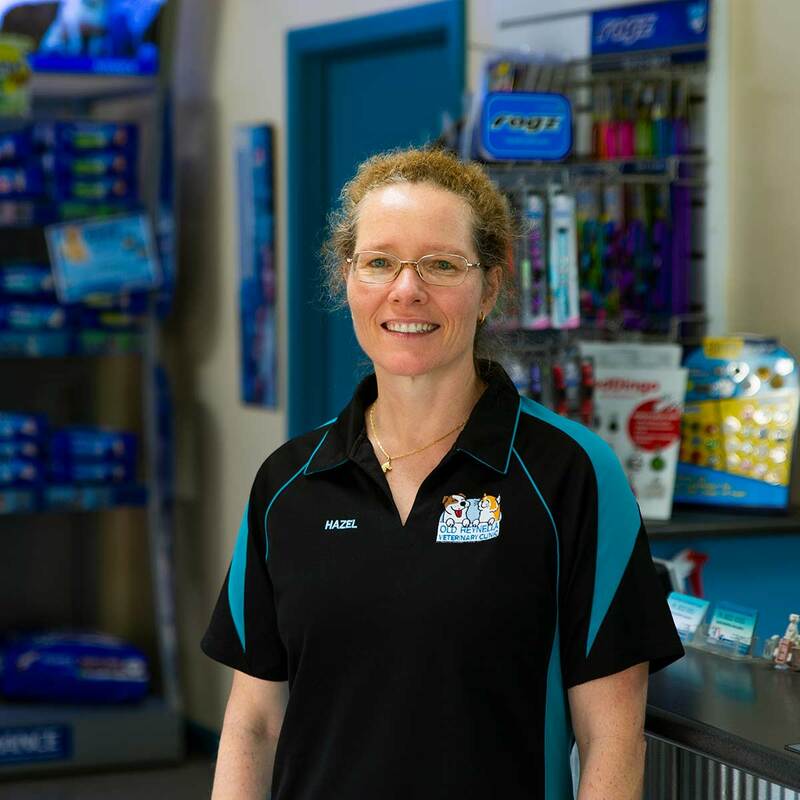 Dr. Hazel Cable has been consulting at the Old Reynella Veterinary Clinic since January 2005, when it was previously owned by Dr. Ron Baker. When the opportunity came to purchase the practice, Hazel jumped at the chance, having fallen in love with this area and our clients. She lives local to the Clinic, and can be seen walking to and from home in summer. She has two rescued cats, Scallywag and Gecko. At home in South Africa, eight cats and eight dogs was the norm! Hazel aims to provide professional, and above all, personalized care to all our clients and their patients. She is always available to offer advice, and often will be at the front desk with the nursing team greeting our clients. She is well loved by her team, and has many fans both two legged and four! Hazel is available for consultation most days of the week and weekend. Meet Dr. Quinn! Quinn is one of our full-time Veterinarians who joined our clinic back in 2016. 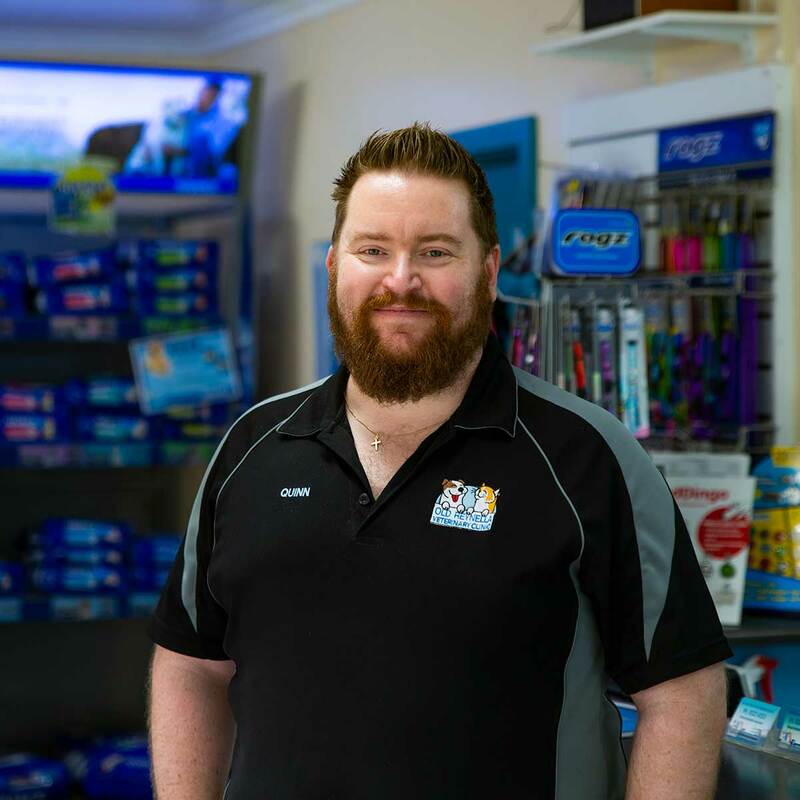 Quinn dreamed of being a vet since he was 7 years old, but it was only after losing a close family pet in his mid-twenties, he took the plunge and started his studies in Veterinary Medicine. Quinn’s wife is also a Veterinarian. He met his wife in his first year of veterinary studies, when they worked together taking blood from a sheep! Outside of work, Quinn enjoys renovating and playing card and board games with family and friends. Quinn has three rescue pets—a Cattle Dog X named Molly (pictured here), a Labrador x named Max and a domestic cat named Penny. Samantha, also known as Sam, came to us in 2016 from working in a veterinary clinic in the northern Adelaide suburbs. When a position opened up at our cinic, she jumped at the chance to work somewhere a little closer to home! Sam decided to be a vet from a young age; her Year One journals were filled with pictures and writings about being a Vet!! Sam has a gorgeous Husky named Diesel and a domestic cat named Charlie.